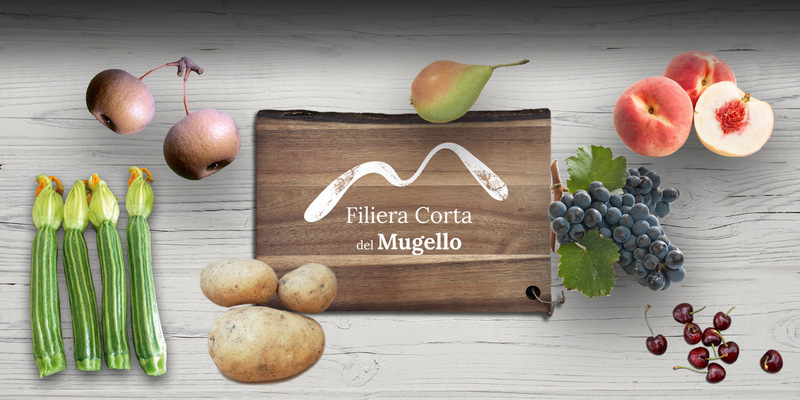 Fruits and vegetables from our “Filiera Corta del Mugello” come from farms located within a radius of 70km from our headquarters in Vicchio: this is enough to include valleys, hills and mountains within one of Italy’s most pristine areas. Reduced carbon footprint: the short distance between farms and our premises means less CO2 burned for transport and refrigeration. Re-discovery of ancient cultivars, more resistant to pests and adverse conditions and therefore more suitable for organic farming. 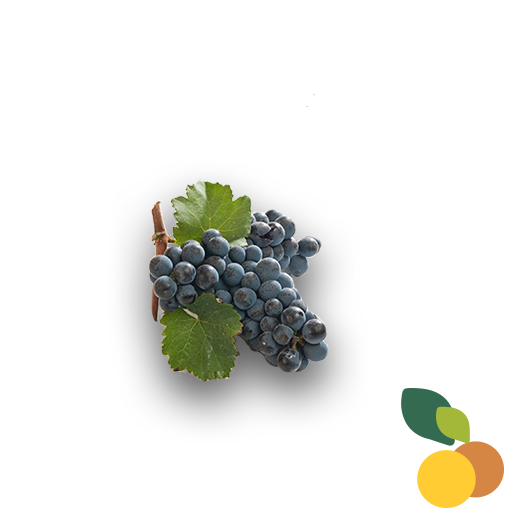 “Filiera corta del Mugello” is the first of the territorial brands that we have developed thanks to the “Multifiliera del Mugello” project, the largest integrated production project in Tuscany, a project we’ve been leading since 2016. White peaches are white-fleshed cultivars with a creamy white skin and reddish streaks. Sweet, they have a strong and penetrating scent and very firm consistency. The size is around 250-300 grams.  Among the white peaches, the Queen of Londa stands out as a typical cultivar of the Mugello territory and of the Val di Sieve. Discovered in the middle of the 20th century, the Queen of Londa’s production is today limited to around 100 tons per year in the provinces of Florence and Arezzo, most of which is marketed by us. White peaches contain many vitamins and minerals. Is this why, in traditional medicine, they are recommended for headaches?  Crispy, sweet and fragrant, our cherries are grown in soils immersed in the green of the Tuscan Apennines. Cherries contain vitamins A and C and minerals, especially calcium, phosphorus and potassium. They also contain levulose, a sugar that is not harmful to diabetics. We discovered it by chance and, according to the research done by the University of Pisa, it is a cultivar unknown to scientific literature: for this reason we baptized it “LUNICA fox grape”. It is really a unique fruit: unlike the fox grape to which we are all accustomed, our variety produces grapes as big as a €2 coin! And they are all very sweet, fragrant and juicy: a real pleasure for the palate. A fox grape to try. It is rich in vitamins (A, B, C) and minerals, especially potassium, iron and phosphorus. The peel is very precious because it contains both the polyphenols and flavonoids – heart-protecting agents – and the resveratrol, which is a blood thinner. The hills of the Apennines between Tuscany and Romagna are among the most suitable areas for the production of white potatoes.  Very rich in starch and with a floury pulp, they are perfect for the preparation of mashed potatoes, gnocchi, croquettes, flans and, in general, all the soft compounds based on potatoes. White potatoes ensure a good supply of B vitamins (B1, B2, B6) and vitamin C, as well as potassium. Tuscans’ favorites, the florentine zucchini are more crisp, tasty and firm than the other varieties of zucchini. Our daily collection network ensures that the zucchini still have their flowers when they are sold. A delicacy for gourmets! Zucchini are an excellent source of potassium and vitamins A, C and E. The florentine zucchini, in particular, have a higher content of dietary fiber compared to other varieties. 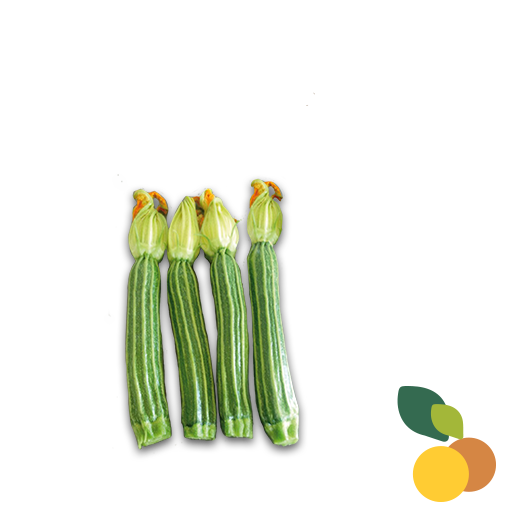 Thanks to our production chain, we are able to supply zucchini 12 months a year: the seasonal production from May to October is made in Mugello, the rest of the year our supply comes from our partners in the area of Venturina, in the province of Livorno. One of the forgotten fruits we fell in love with. The “woman’s thigh pears” are a precocious variety, more resistant to scab and unfavorable environmental conditions (e.g. drought) compared to the better-known varieties “coscia”, “gentile” and “abate”. For these reasons, the “woman’s thigh” pears are particularly suited for organic cultivation.  They also have excellent constancy in fruiting and a high resistance to wilting, meaning the pulp remains clear and compact for many days after harvest. Since they come from organic or integrated farming, they can be safely eaten unpeeled, allowing one to benefit from the high content of dietary fiber (about 6g per fruit). 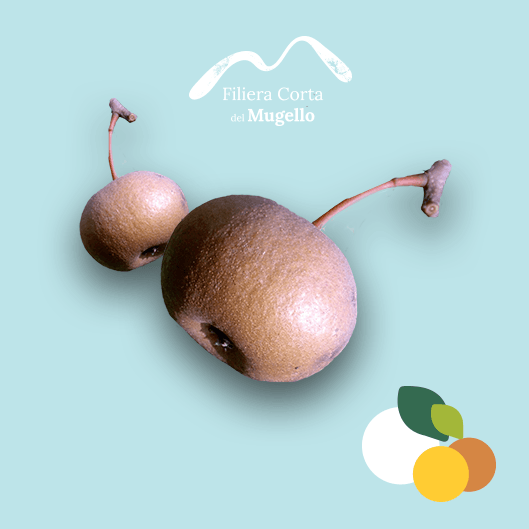 An ancient fruit typical of Romagna, the fox pears are today a traditional, niche production. The fruits, small and rust-colored, are rich in tannins and, for this reason, are usually eaten cooked or in the form of jam. Given the vigor of the tree, the fox pears are among the most resistant pear cultivars to pests and adverse environmental conditions, and this makes them ideal for organic farming. Like all pears, fox pears are also a source of precious dietary fiber.